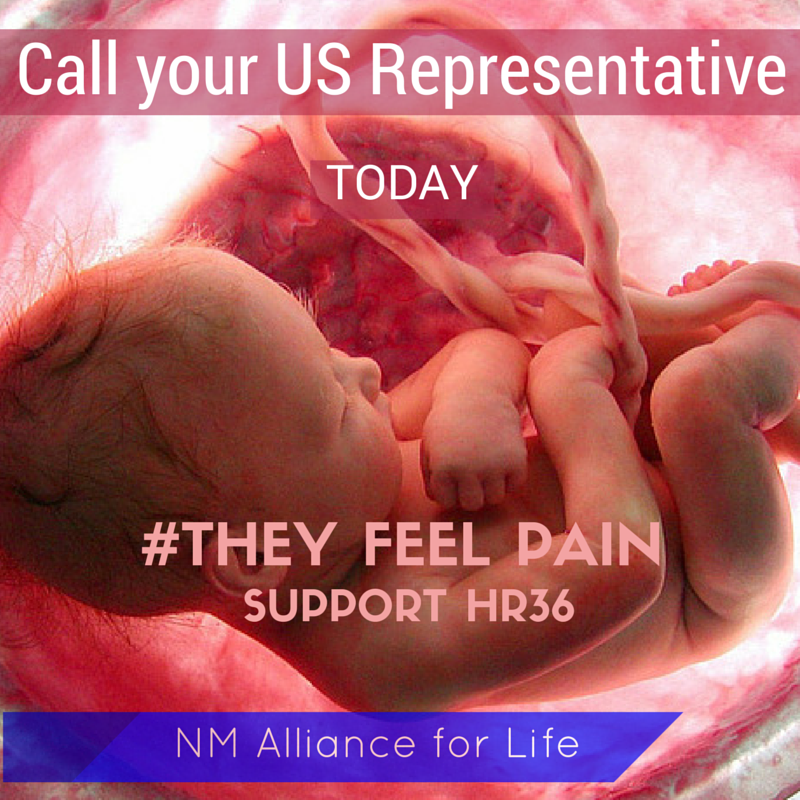 Please tell your representative's staff person that you wish to be recorded as urging for a vote in favor of the Pain-Capable Unborn Child Protection Act, H.R. 36, also referred to as "the 20-week abortion ban." As your constituent I strongly urge you to vote in support of H.R. 36, the Pain-Capable Unborn Child Protection Act, also known as "the 20-week abortion ban," when it comes before the House on Wednesday, May 13. This bill applies to babies in the sixth month of development, and later. These babies can feel tremendous pain during late-term abortion procedures. This is of particular concern to me as New Mexico is home to the largest late-term abortion facility in the country, which I do not support. Please vote Yes for H.R. 36.